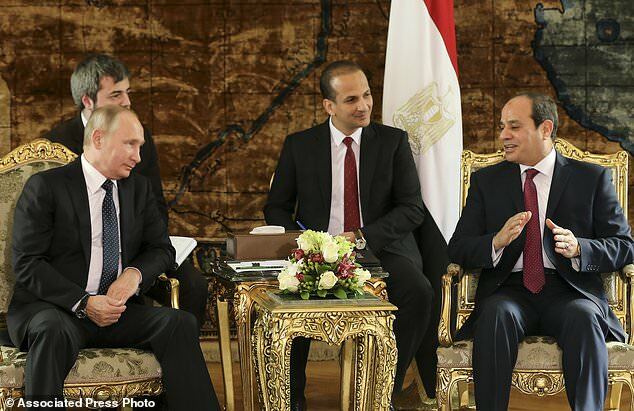 Putin visits Egypt in sign of closer ties – Satenaw Ethioopian News & Breaking News: Your right to know! 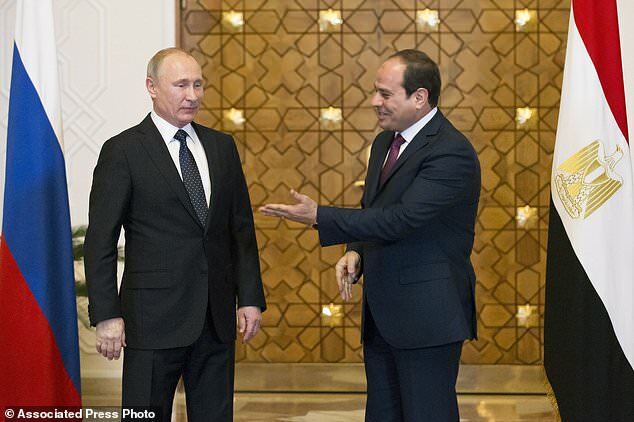 CAIRO (AP) – Russian President Vladimir Putin visited Egypt on Monday, where he signed a deal to advance plans for a nuclear reactor but disappointed his hosts by delaying the resumption of direct flights that were suspended after the 2015 bombing of a Russian passenger plane. 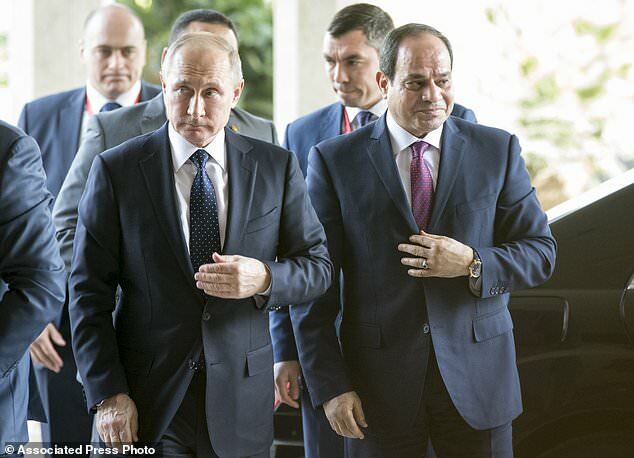 During Putin’s second visit to Egypt in as many years, he and Egyptian President Abdel-Fattah el-Sissi appeared keen to cement their countries’ ties, which have deepened in recent years as Moscow has expanded its reach across the region. “Russia always paid a special attention to expanding friendly and mutually beneficial ties with Egypt, our longtime reliable partner in the Middle East and North Africa,” Putin said. El-Sissi, who has visited Russia twice since taking office in 2014, has signed deals to buy billions of dollars’ worth of Russian weapons, including fighter jets and assault helicopters. Last month, Russia approved a draft agreement with Egypt to allow Russian warplanes to use Egyptian military bases. The United States remains Egypt’s main international backer, providing an estimated $1.3 billion in military and economic aid each year. But ties suffered a blow in 2013, when the Obama administration criticized the military overthrow of Egypt’s first freely elected leader amid mass protests against his rule. Relations have improved under President Donald Trump, who has also sought better relations with Moscow. Neither Putin nor el-Sissi referred to the use of the air bases when they read prepared statements after their talks, a possible indicator of the sensitivity of the issue in Egypt, which has long rejected the basing of foreign forces on its territory. 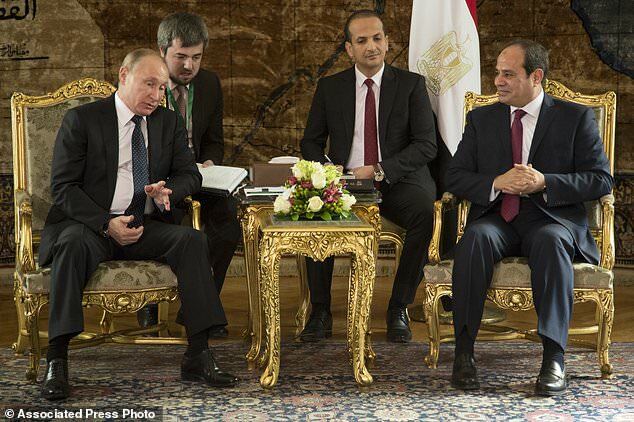 With Putin and el-Sissi looking on, officials from both countries signed the deal on the nuclear reactor. Egypt has reached an agreement in principle to borrow $25 billion, or roughly 80 percent of the reactor’s cost, from Russia. The signing of the agreement ends months of wrangling between the two sides over technical and financial details. Putin flew to Cairo after a brief and previously unannounced visit to a Russian military air base in Syria. The air base has served as the main foothold for the air campaign Russia has waged since September 2015 in support of Syrian President Bashar Assad. Egypt’s increasingly close ties with Russia harken back to the 1950s and 1960s, when Cairo became a close Russian ally at the height of the Cold War. Egypt changed sides in the 1970s under the late President Anwar Sadat, who replaced Moscow with Washington as his country’s chief economic and military backer following the signing of a U.S.-sponsored peace treaty with Israel in 1979. Egypt has since become a major recipient of U.S. aid. 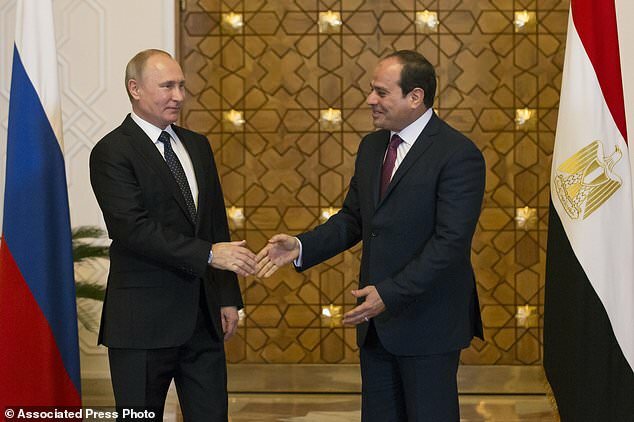 Under el-Sissi, Egypt has been able to maintain close ties with both Russia and the United States. But the question of resuming flights between Egypt and Russia remains unsolved after Putin’s visit, a significant setback for Egypt. The flights were suspended when the Islamic State group downed a Russian airliner over Egypt’s Sinai Peninsula two years ago, killing all 224 people on board. Egypt has since spent millions of dollars to upgrade security at its airports and undergone numerous checks by Russian experts. The suspension of Russian flights has dealt a devastating blow to Egypt’s vital tourism industry. Britain, another major source of visitors, suspended flights to Sharm el-Sheikh, the Red Sea resort in Sinai from which the doomed Russian airliner took off. On Monday, Putin praised Egypt’s efforts to beef up security at its airports, saying the two countries have come close to a deal to resume flights, but did not give a timeline. Russian Transport Minister Maxi Sokolov was quoted by Russian news agencies as saying flights between Moscow and Cairo could be restored by early February. There was no immediate mention of restoring an air link to Sharm el-Sheikh.